>Play chess! Choose a colour, black or white and play! Make this a family activity: start a family tournament. 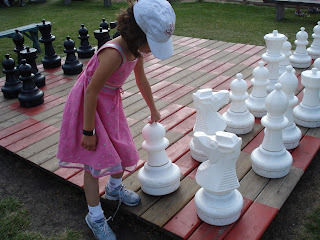 This activity promotes strategy skills, math skills and predictive, action and consequence skills.